Yesterdays tour revealed a stable snowpack as a result of last weekends warming to cooling trend. I expect this to change today as the current mountain weather forecast is calling for more warm temperatures and rain up to 8,000'. These conditions will likely make any weak layers in the snowpack reactive and dangerous until things cool back down on Thursday. Bottom Line: Spring is coming. Watch the temperatures and choose conservative terrain during these warm days and wait for the temperatures to drop back below the freezing mark before pushing into steep terrain. The new snow that sits on various crust layers will cave into gravity as rain and temperatures rise. These slow moving wet slides often appear benign but can have hazardous consequences if they carry you into cliffs or trees. Bottom Line: Again, be conservative in your terrain selection on warm days. Gullies, chutes and cliffs can become dangerous obstacles when loose, wet snow starts to run off the mountian. This problem is mainly a concern in the Purcell Range of the Yaak. I will continue talking about it due to the fact that it harbors some nasty weak layers that may persist for the season. 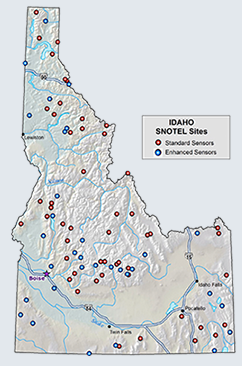 These warm days will reduce the strength of the upper snowpack, rain will add weight and these deep, stubborn weaknesses will become an issue under the warm forecasted conditions. 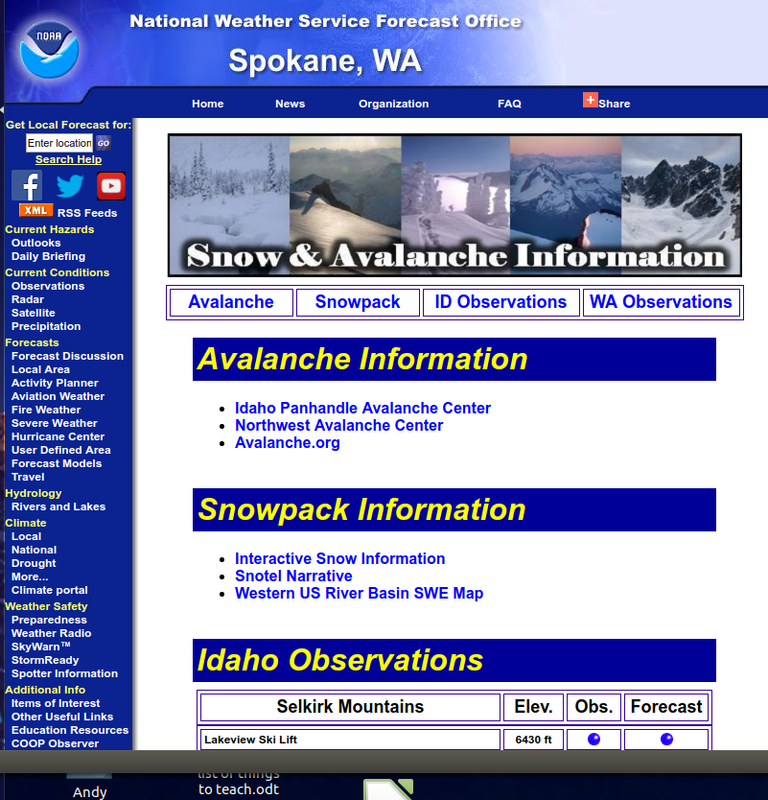 Catch the forecast from the Idaho Panhandle by clicking the link below! I would like to apologize to my readers for last Fridays forecast. The final draft did not save when I submitted it and resulted in a partially complete and lousy product. Again, my apologies. Also, big thanks to the Lacie clan in the Yaak for joining us and helping out with the pits! On March 13th we travelled into the high country of Chicago Peak in the Eastern Cabinets. The warm temperatures from the previous weekend were followed by cooler temps above 5,000' with light amounts of new snow. These conditions resulted in a quite stable snowpack at upper elevations where the cooler weather had locked the snowpack back together. The most notable weakness was a layer of graupel that was 8" below the surface. It failed with moderate force but is not showing a strong likelihood to propagate into a slab avalanche. We travelled as high as 7,000' where we noted some strong winds at 10-15 mph. There was little snow available for transport and we did not observe any signs of wind slab forming at upper elevations.